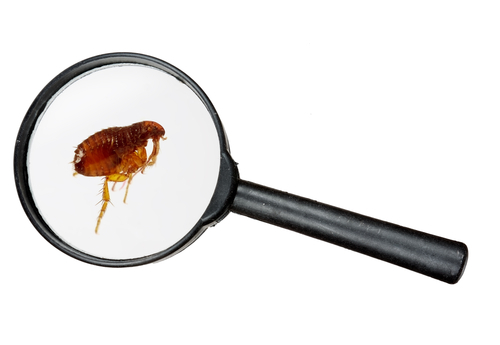 Fleas love to infest and lay their eggs on pets, and carpets, but another often overlooked and untreated area where they infest is curtains. Curtains provide some of the perfect needs for fleas, such as dust accumulation and warmth from the sun as well as heaters in the winter season. In fact curtains are often the major source of flea infestation in the home, and it’s often the most overlooked area. So many folks hang their curtains, and hardly ever clean them. Curtains often become one of the dirtiest things in a home over time. They hang motionless for long periods of time, allowing dust, human skin particles and animal hairs to rapidly build up on them. Not only do fleas love curtains to hide in and infest, but mites do too. Curtains can easily becomes a major source of not just flea infestation but a major source of allergies. Cleaning and maintaining your curtain depends upon the type of material they are made of, and other things. First of all if you know the curtains are just some cheap material and you are not too worried about damaging them, take them down, and place them in a washing machine large enough to hold them. Your best bet in washing something as large as curtains is just take them to a laundry mat and use the large machines to wash them. Use any laundry soap that you normally use for washing clothes, and dry them until they are almost dry but not all the way. It’s better to hang curtains when they are slightly damp, so they stretch back out a little, and static does not stay in them from the dryer when they are still damp, this makes a lot less dust attract to them. If you are unsure about the material the curtains are made of, or if they are valuable, you may wish to contact a professional cleaner that does curtains, or take them to a dry cleaner for consultation and possible cleaning. Some curtains have tags on them, that tell you the exactly materials and methods they should be cleaned with, as well as the dryer settings. Once the curtains are rehung, you can gently mist the curtains with an organic (natural) flea killer, these types of sprays are the most gentle to fabrics as well as pets and people. Like using any product, first do a small spot test on a part of the curtain, to make sure the product will not cause it to stain or change the color, etc. Once you find a safe flea spray, gently mist your curtains as often as the product says to do so, and remember to wash your curtains on a regular basis, at least every quarter, to keep them smelling and looking fresh, and also flea free.